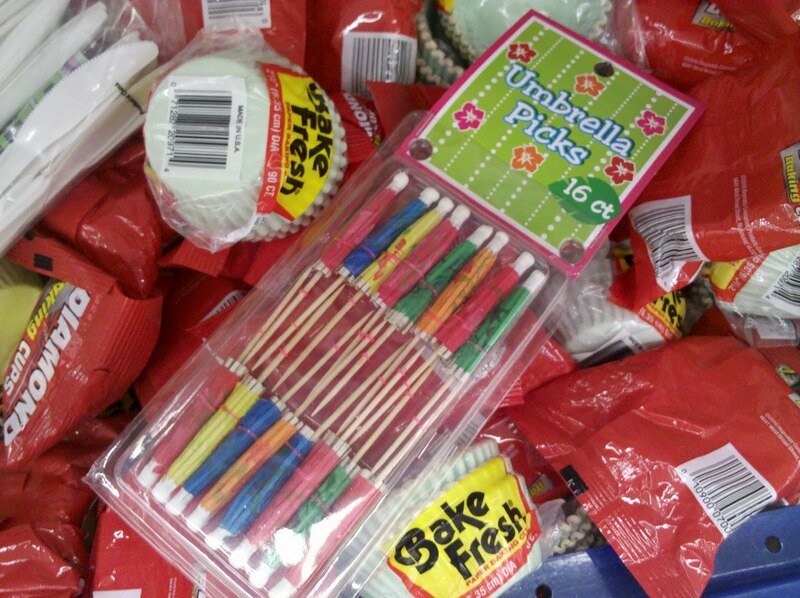 I found umbrella picks at 2 local dollar stores... 99cents only and The Dollar Tree. Get them while they are hot! aw! i needed those for a lunch we had this week! dern! I have some of those too! I used them last week. Perfect for summer themes. These are such great deal. Just some idea for you for organic food. Do you have a farmer's market in your area? That's a great place during the summer and there are CSA's and coop's that can deliver organic food to you year round. Is there a Trader Joe's in your area? That's a great place to get cheap organic fare for your family. :) Target has also started carrying a lot more organic options. Just a few ideas for ya!